Frown lines, crow’s feet, lines etched across our forehead—these so-called “expression lines” are often the first signs of aging we notice, and they come with the frustrating side effect of making us look haggard, worried or, well, frustrated, even when we feel great! Expertly performed Botox® injections can help soften these lines, quickly restoring a naturally refreshed appearance that reflects your true state of mind. With results that take just days to appear and can last up to 4 months, Botox is a popular, effective treatment for both men and women. Why choose Kalos for your Botox treatments? Do you know great Botox results when you see them? Probably not, because expertly performed Botox injections result in a naturally refreshed appearance, plain and simple. And that’s what our medically trained providers at Kalos are famous for. Our Fort Worth patients trust us to deliver subtle, natural results. We will listen and develop a treatment plan just for you, based on your gender, muscle mass, ethnicity and skin thickness, as well as your individual goals. Our goal is to achieve the refined, refreshed look you want. Dr. Kirby and her team have been named a Top 500 practice by Allergan, the makers of Botox, Juvéderm® fillers, and CoolSculpting®. 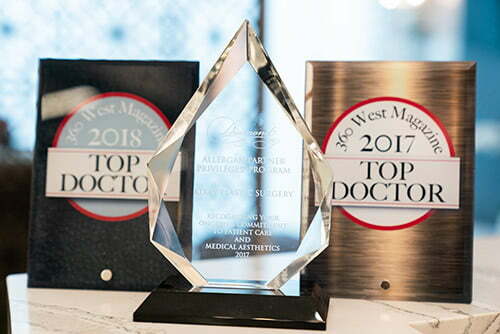 Dr. Kirby is the only Top 500 provider in Fort Worth and one of only three plastic surgery practices with this distinction in the Dallas-Fort Worth metroplex. Botox® Cosmetic is a prescription medicine that is injected into muscles and used to temporarily improve the look of moderate to severe frown lines between the eyebrows (glabellar lines), crow’s feet, and forehead lines. It works by blocking nerve impulses to the injected muscles. This reduces muscle activity that causes moderate to severe lines to form between the brows. Individual results may vary. Botox is administered as a simple, nonsurgical treatment, and take about 15 minutes for our licensed, medically trained providers to perform. Skin care should start before signs of damage are evident. In Texas, we are exposed to the sun year round. Attention to your skin now can prevent years of aging later. A good routine of exfoliation, sunscreen and regular Botox can keep you looking young beyond your years. Even if wrinkles have set in, Botox can improve your appearance and prevent the development of more. How can I avoid bruising from Botox? Within days, you may see a marked improvement in the moderate-to-severe frown lines between your brows. Lines that were treated continue to improve for up to 30 days. Individual results may vary. Visible results have been shown to last from 3-4 months. Your own results may vary. Be sure to talk to us about what you can expect and when to schedule your next appointment. Although the results are visible, Botox will not radically change your facial appearance or make you look as if you’ve “had work done” given treatment is performed by an experienced provider. The muscle activity that causes frown lines between the brows is temporarily reduced, so you can still frown or look surprised without the wrinkles and creases between your brows. Second, multiply the number of units by the cost per unit. For example, 10 units x $15 per unit = $150. Your individual plan will be based on a number of factors including your goals and physical anatomy. Our Kalos team will work with you to determine the best course of treatment. The following chart gives an approximate range of the amount of Botox needed to treat common concerns. You may require more or less Botox than what’s listed here, but this is a good starting point to get a ballpark idea of the cost of Botox. Ready to look better refreshed every day? Book your Botox appointment at Kalos Medical Spa today. Call 817-292-4200 or fill out the contact form on this page.